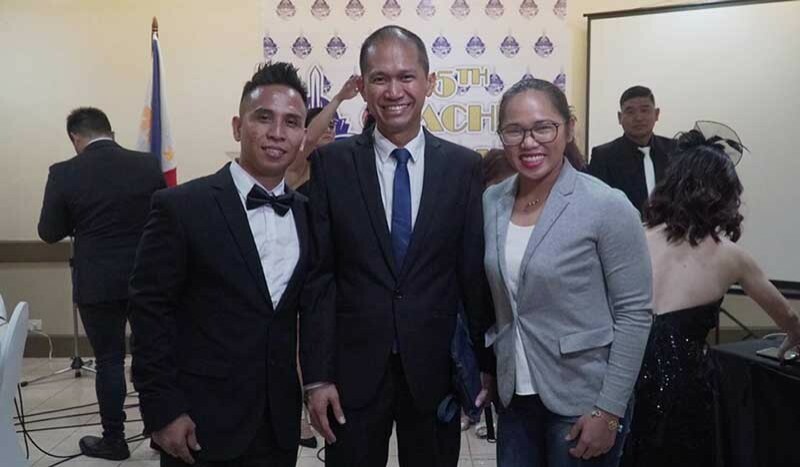 RIO Olympics silver medalist Hidilyn Diaz left attendees of the Ateneo de Davao University 5th Coaches' Banquet held at the Apo View Hotel Saturday evening something to ponder on after she dared them to become role models for their athletes. 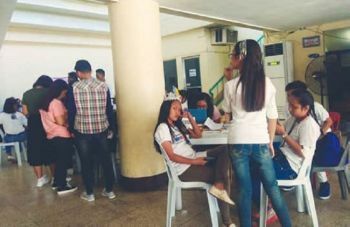 The 27-year-old native of Barangay Mampang in Zamboanga City said she had worked with a lot of coaches having been a weightlifter for 16 years now. Some coaches, she said, come and go while others put down athletes in training and say bad words. "Some coaches just have the title `coach' without even putting (anything) into action. Some just do it for money and don’t work as a coach at all. Please don’t be this kind of coach let’s change this system by attending the MPG (Mindanao Peace Games) coaching seminars and don’t just put in picture frames the certificates but to put (what you teach) into action," she said in her inspirational speech during the dinner affair held at the Apo View Hotel Saturday evening. On her Facebook post, she wrote, "It is my privilege to talk at the 5th Coaches Banquet of ADDU and it is my first time to talk in front of coaches, I was nervous but was happy to able to deliver the messages and hopefully to give my small contribution for the changes." Diaz, who recently competed in the International Weightlifting Federation (IWF) World Championships in Turkmenistan, also reminisced her journey as an athlete since she was 11. Her curiosity seeing her male cousins being coached by their relative Catalino Diaz, Jr., also present during the banquet, lured her to also try the sport. She shared, "I remember he coached us with an ipil-ipil stick, fed us, and guided us in life. I also remember him conducting a meditation class to us. He made us imagine what we can be in the next 10 years, lifting, and on the podium. I never imagined singing the Lupang Hinirang yet." Her second coach was Antonio Agustin, Jr. when she joined the national team. She recalled what the latter told them: "The government pays you to train, so you must train and in return you must represent our country well." She also said that through coaches' passion and dedication, athletes like her do their best in training, perform well and win medals in international competitions. Diaz also said that a coach sets goals for his athlete and give direction; like a father when the athlete is down; gives athletes good advices; and motivates them. "A coach represents a lot of things in an athlete's life - best friend, mentor and role model. They are also teachers, promoters and advisers. I know it is not easy to be a coach because you have a big responsibility in an athlete’s life, you will influence athletes in training and perspectives in life, so as a coach, you must always teach good values to the athletes," she said. As an elite athlete, Diaz said she has six coaches working with her Tokyo 2020 Olympics preparations - a Chinese coach for strength and conditioning, a nutritionist, sports psychologist and massage therapists. "I am more confident and ready for my journey to Tokyo 2020. A coach is part of the success of the athletes. Where I am today, it is because of the influences of these coaches," she added. Ateneo de Davao University athletics director Noli Ayo said a total of 54 coaches from grade school, junior High School, senior High School and college varsity teams joined the banquet. Twelve guests also attended.